Product prices and availability are accurate as of 2019-04-04 22:59:46 EDT and are subject to change. Any price and availability information displayed on http://www.amazon.com/ at the time of purchase will apply to the purchase of this product. 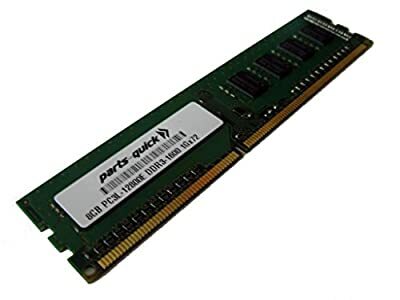 8GB PC3L-12800E 240 pin DDR3 1600MHz CL11 1.35v Low Voltage ECC Unbuffered DIMM. Compatible with: HP ProLiant ML310e Gen8 v2 (G8). System Specific memory backed by Parts-Quick Lifetime Warranty and Toll Free Technical Support.